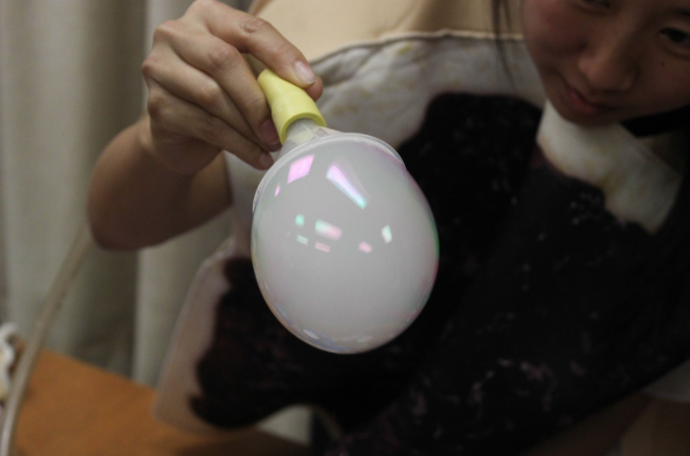 MatSci Club member Faye Zhang creates a dry ice bubble. Freshman Natalie Schilati with sisters Amanda and Elisa. 4-year-old friends John Allchurch and Olivia Fisher. Lissa Moraldo with her twins Eli, left, and Natalie, right. 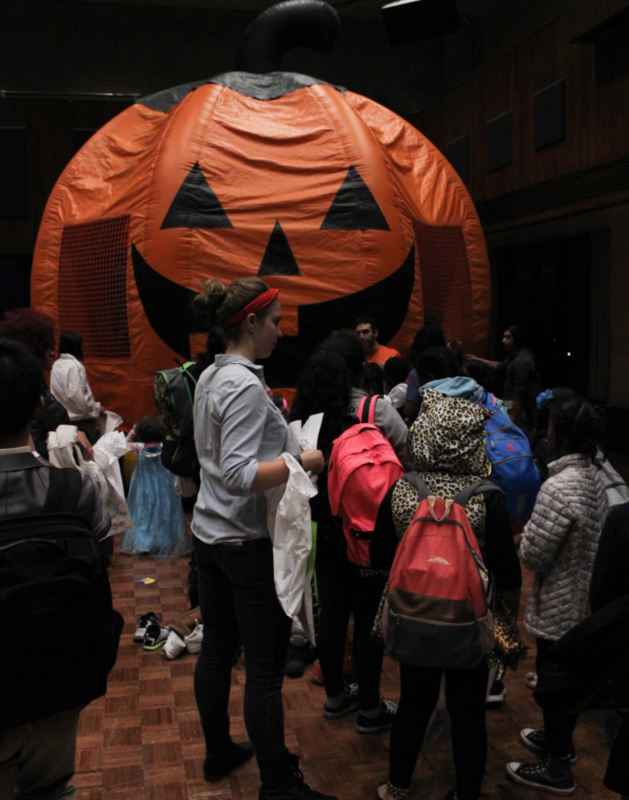 Children wait in line for the pumpkin bounce house on the second floor of Norris. 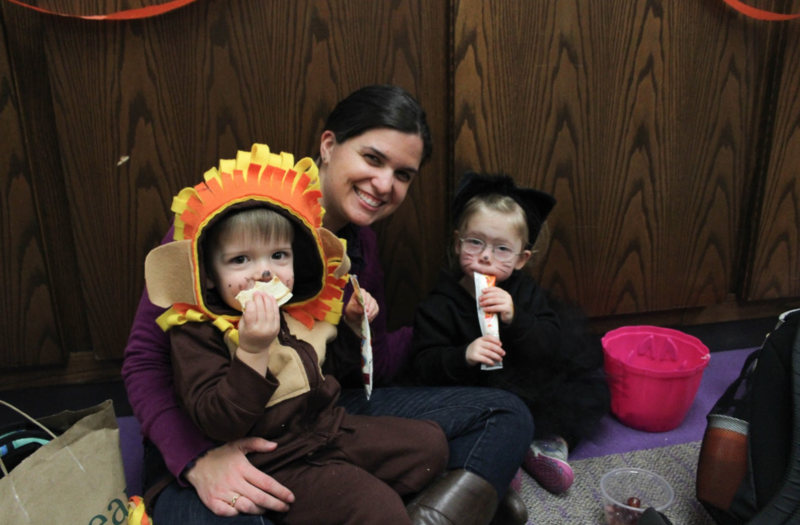 Candy, crafts, an inflatable pumpkin bounce house and a haunted maze were among the amenities which helped turn Norris University Center into a Halloween wonderland on Thursday night. Northwestern Community Development Corps (NCDC), in collaboration with hundreds of student volunteers from various Northwestern student groups, hosted Project Pumpkin, a Halloween event for residents of Evanston and Chicago attended by 1,000+ children including spectacular superheroes, adorable animals, spooky skeletons and more. Groups of students of all ages from Chicago and Evanston came out to the event, as well as many families from around the area, including the Moraldos. 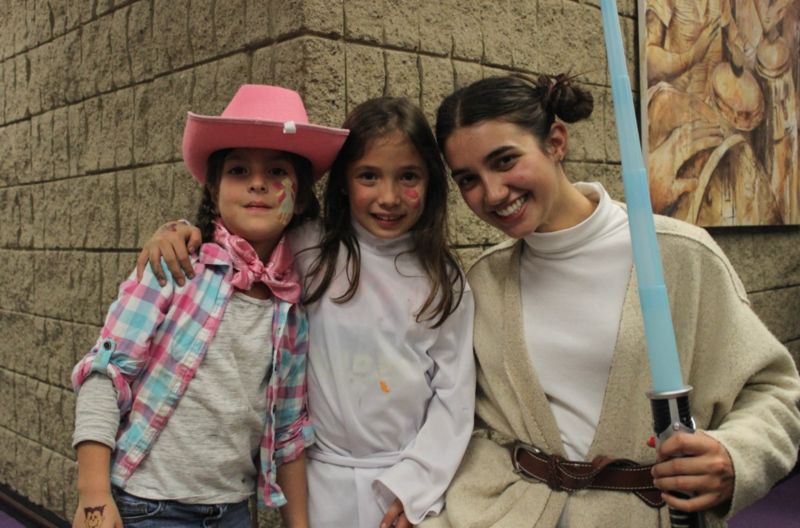 Children of all ages were seen strolling, and more often running between tables set up by student groups which offered a variety of activities including cookie decorating, temporary tattoos, coloring and, of course, lots of candy. MatSci Club members Conrad Hedderick and Faye Zhang put on a show using dry ice, beakers, tubes and soapy water to create smoke-filled bubbles to the amazement of their young audience. NCDC puts on the event every year, organizing student volunteers, student group booths and community outreach. 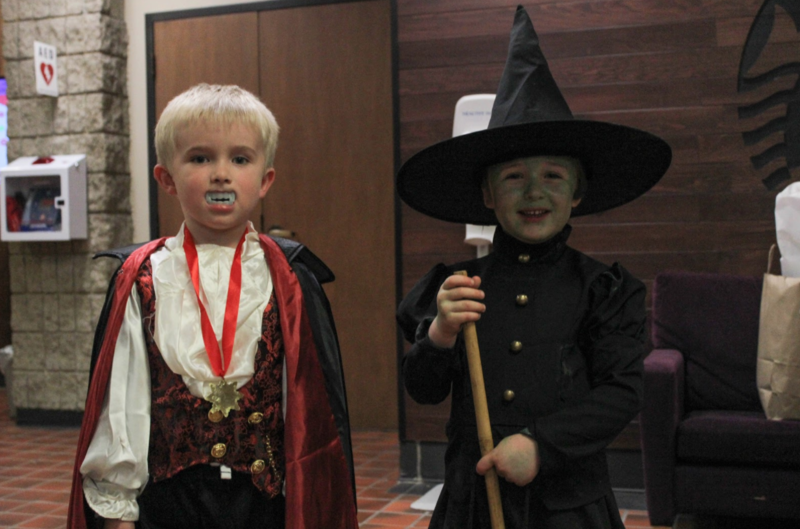 John and Olivia, both four, are friends from their “super old school” in Evanston, and enjoyed the night collecting candy and playing games as a vampire and witch, respectively. “My face and my hands are green!” exclaimed Fisher, who was wearing one of a very diverse group of costumes on display. 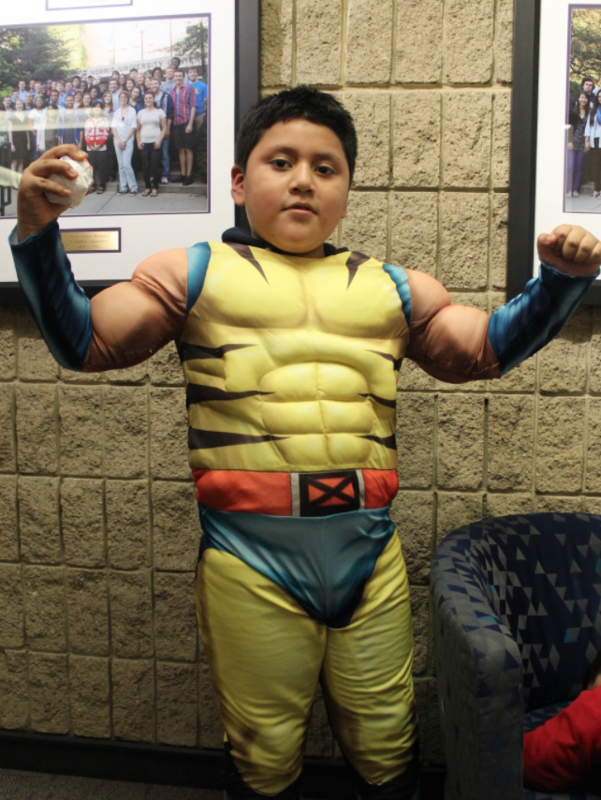 Project Pumpkin provided a plethora of Halloween activities for children of all ages, and NCDC will continue the annual tradition, hoping to reach even more schools, as well as more student groups on campus. “I think we can make it even bigger and better in the future,” said Anderson.